Don’t lose sales because the product your customers wish to buy is sold out. 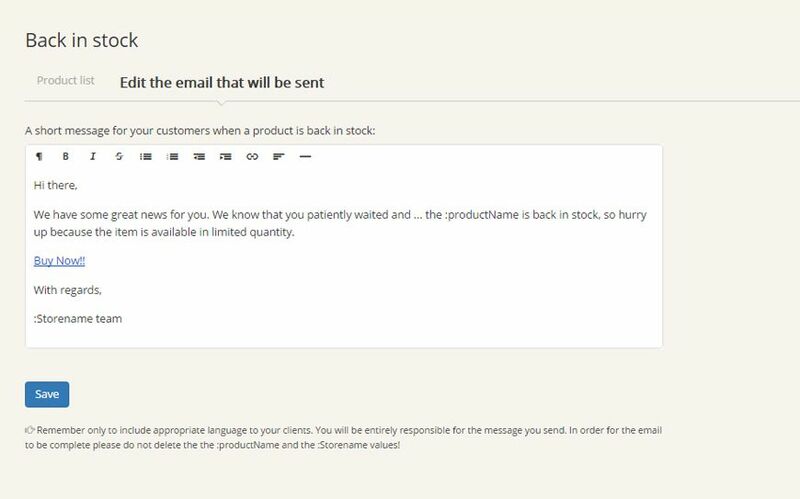 Back in stock gives your customers the possibility to sign up for a back in stock email alert. The app will automatically notify your buyers who are interested in an Out of stock product. Accessing the app you can find the list of products that your buyers requested to be notified about upon product availability. 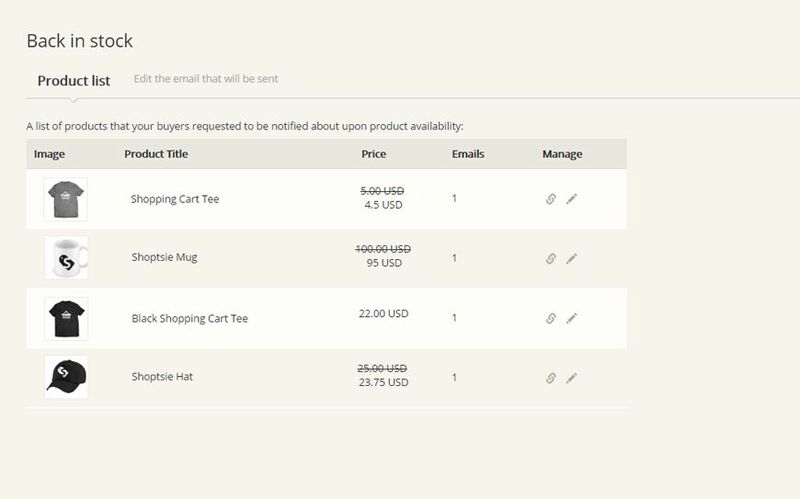 On the second tab you can edit the email that will be sent to your buyers. Remember only to include appropriate language to your clients. You will be entirely responsible for the message you send.